International Logistics - Global & Safe. Züst & Bachmeier Project. Trust in our worldwide network. Working relationships which have been established over the past decades offer a completely different standard to merely bought-in services. Dedicated and motivated, together with our partners we will move heaven and earth for your project. With individual transport solutions that will inspire. At Züst & Bachmeier Project GmbH we unite tradition and innovation. Established well over 100 years ago and always managed as a medium-sized enterprise, we live and love competence, consistency and a total focus on our customers. We will offer the best transport solution for your individual requirements might that be by plane, rail, sea or road. 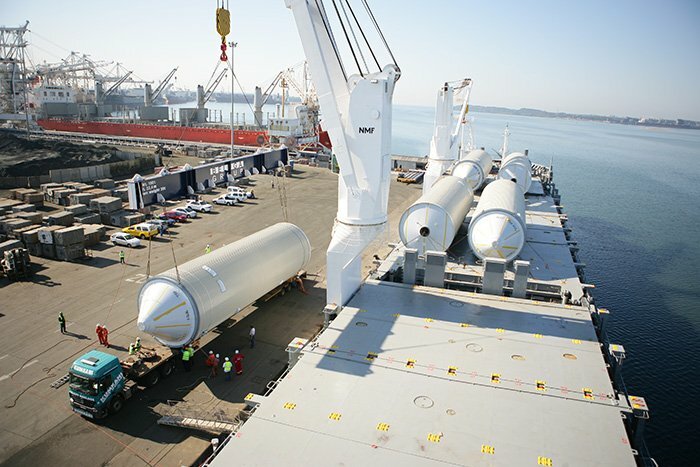 We offer solutions for sea freight, inland water transport, airfreight and transport on land via train or truck. In matters of heavy logistics we have the knowhow. Trust in our experience. Your heavy goods are in the very best hands with us. For save transport on time. Quick. Efficient. Reliable. Our heavy logistic centre is strategically positioned at the Bavarian port of Nuremberg. A fenced-in enclosure of around 12.000 sqm offers room for logistic solutions at a superior level. Our permanently installed strand jack system can lift up to 600 tons enabling secure reloading of your goods. Züst & Bachmeier Project GmbH combines tradition with innovation. Founded well over 100 years ago always managed as a medium-sized enterprise, we live and love competence, consistency and a total focus on our customers. We exclusively work according to the ‘Standard Terms and Conditions of the German Freight Forwarders’ Association 2016 (ADSp 2016) (Allgemeine Deutsche Spediteurbedingungen 2016). 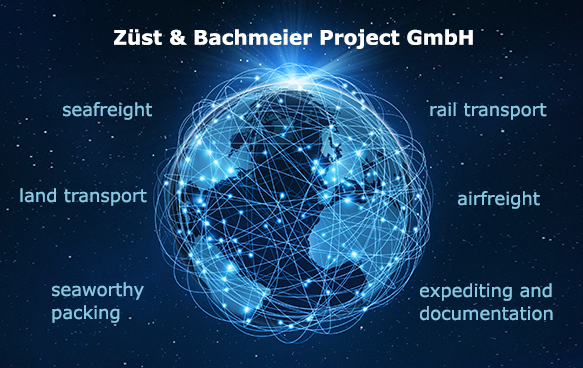 Register here for our newsletter and keep up-to-date with the latest news in the world of Züst & Bachmeier Project GmbH and Universal Transport. Hint: You can always revoke your agreement with an Email to: info@zbproject.de.